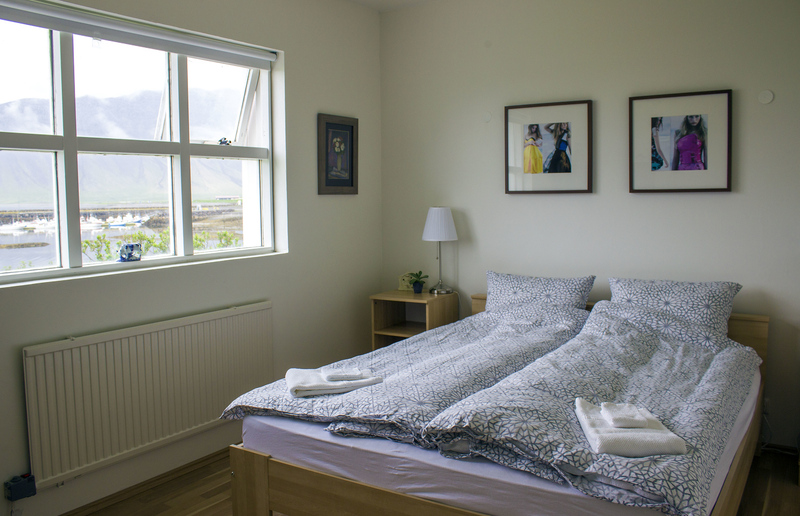 Make G4 Apartment Grundarfjordur your home away from home. It really did feel like home! 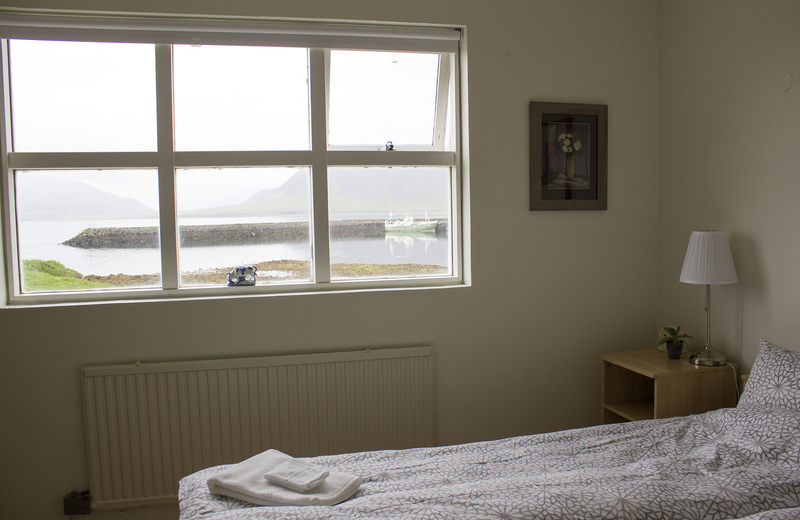 G4 Apartment Grundarfjordur is a cozy apartment by the seaside. You’ll fall in love. We did. 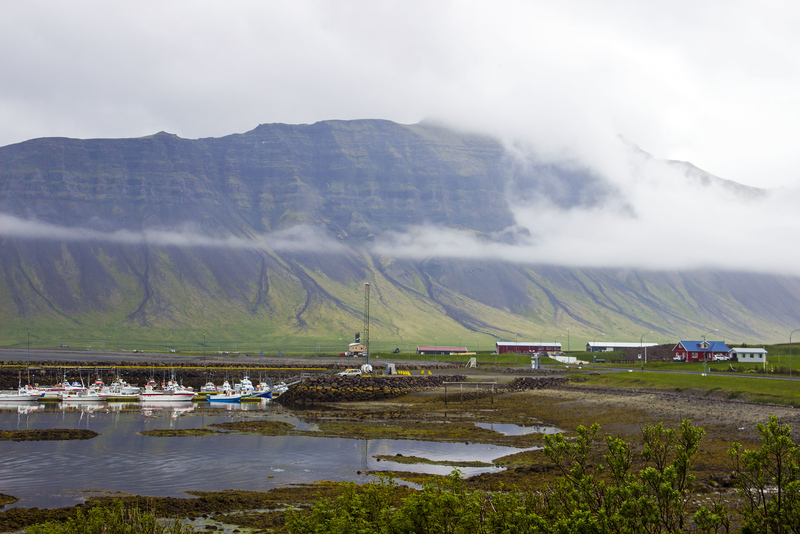 Grundarfjordur is a small town, best known for the natural mountain attraction, Kirkjufell. 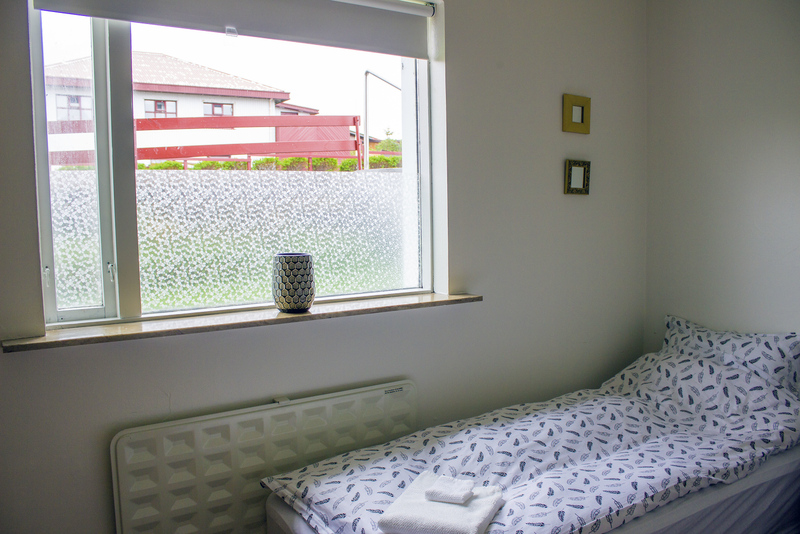 For us, it was the perfect place to stay as a gateway to the Snaefellsnes Peninsula and west Iceland. 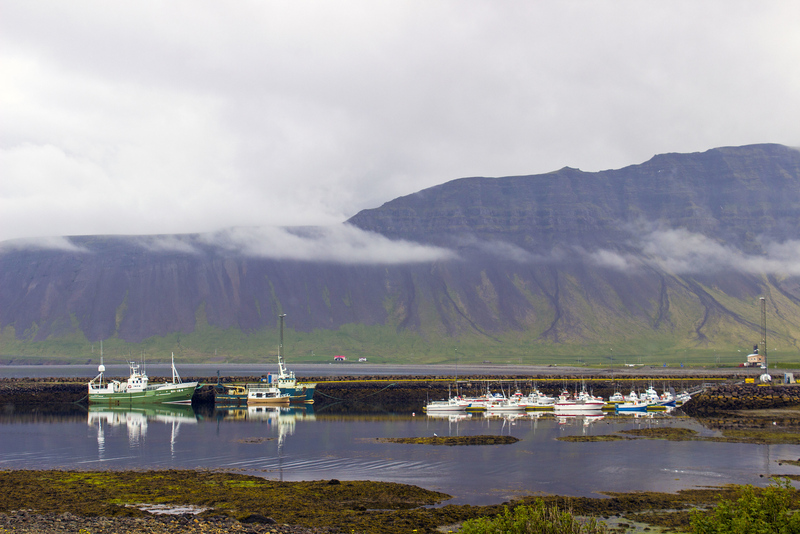 We took the ferry from the Westfjords, stopping in Grundarfjordur before exploring Snaefellsjokull National Park the next day. 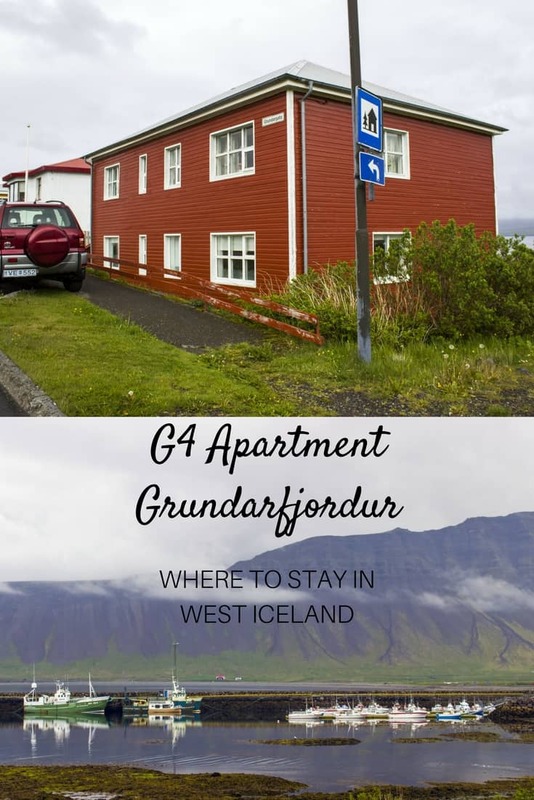 Staying in Grundarfjordur is also a great option for those traveling from Reykjavik to west Iceland. 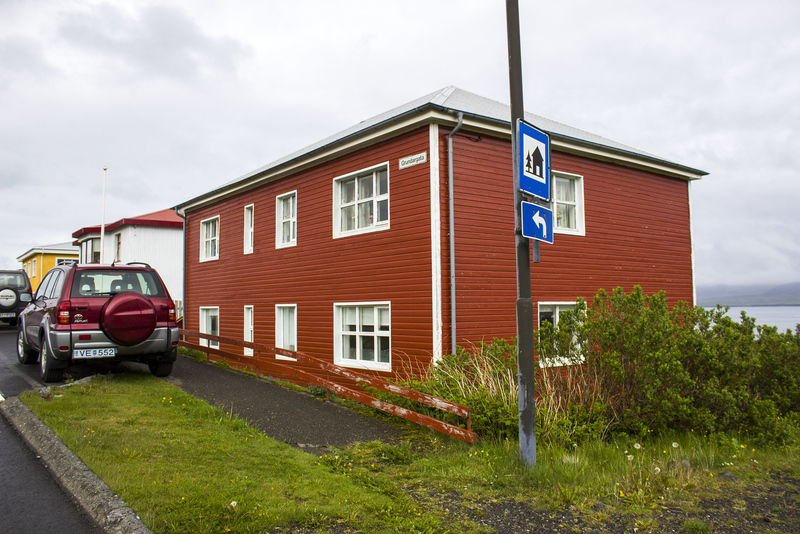 Driving into town, we were immediately greeted by G4 Apartment Grundarfjordur, a joyful red house right on the main street. It was very easy to find. Have you ever stayed somewhere on your travels that felt like home? G4 Apartment had an inviting elegance, through both the decor and the thoughtful owner who made our stay as comfortable as possible. There were hand-painted pictures on the walls representing Iceland. 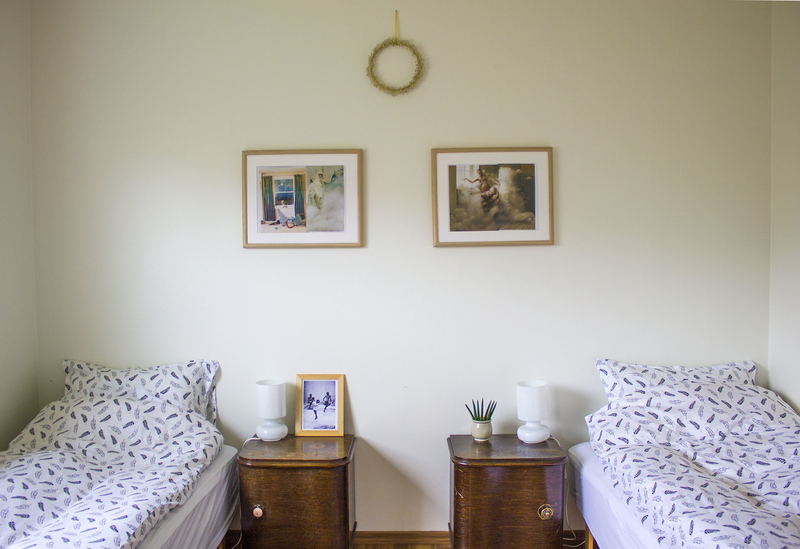 Charming antiques and framed photos graced every room. There was a bookcase full of books (including one with Icelandic knitting patterns, to my delight). Houseplants added cheer, even if it was foggy and rainy outside. The living room had a generous seating area to easily accommodate a family of four, if not some additional friends, too. The blue couch was one of the most comfortable couches I’ve ever sat on! I sunk into that couch. It was an ideal place to get cozy with a cup of tea and a good book. 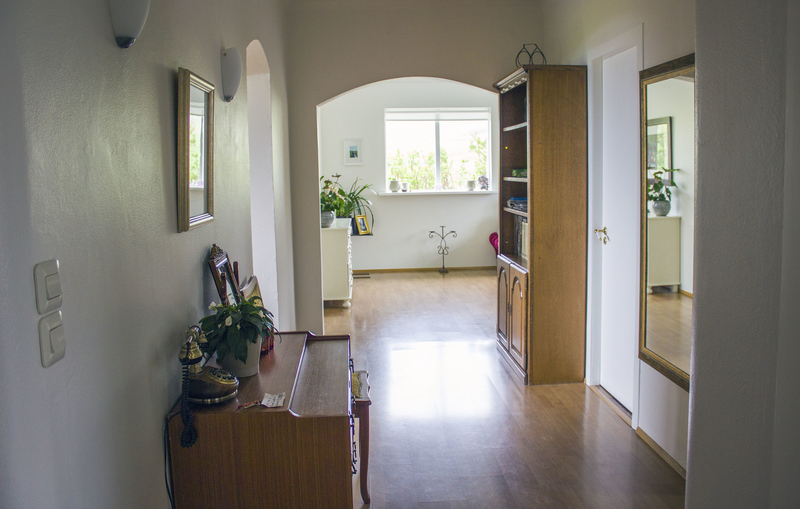 Large, spacious windows let in lots of light, even on a dreary day. 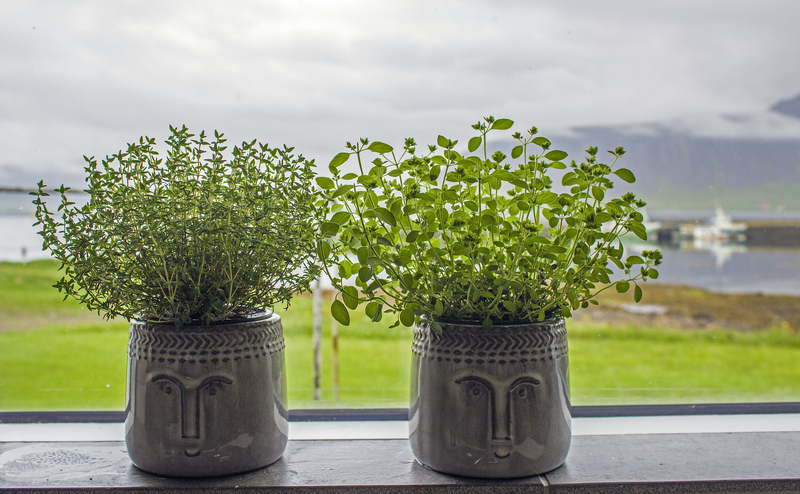 The kitchen was another highlight of our stay at G4 Apartment Grundarfjordur. Not only was it roomy with lots of counter space, but it had all of the amenities. 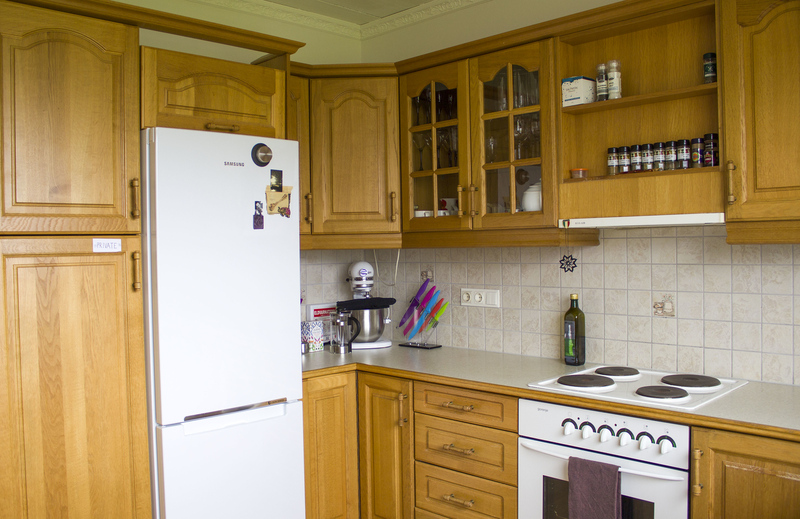 There was a large fridge, stove, dishwasher, pots, pans, a stand mixer, a kettle, and a French press for coffee. There were even spices and olive oil if you wanted to cook your own meal, but forgot a few ingredients. The owner, Signy, provided coffee and tea to make our own warm beverages. 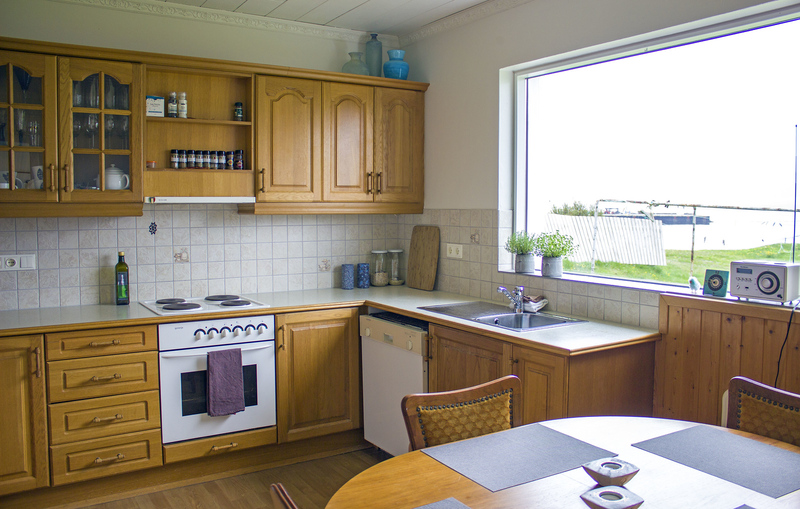 This was an extremely well equipped kitchen, for all basic cooking needs and beyond. As I was cooking a meal for the two of us, I admired the most stunning views from the kitchen window. G4 Apartment overlooks the harbour with views of the surrounding mountain range. I cherished this spectacular scenery, whether it was the row of docked boats or the fog that rolled across the countryside. Flocks of birds gathered and circled around the bay. The view from this kitchen window even made washing the dishes enjoyable. 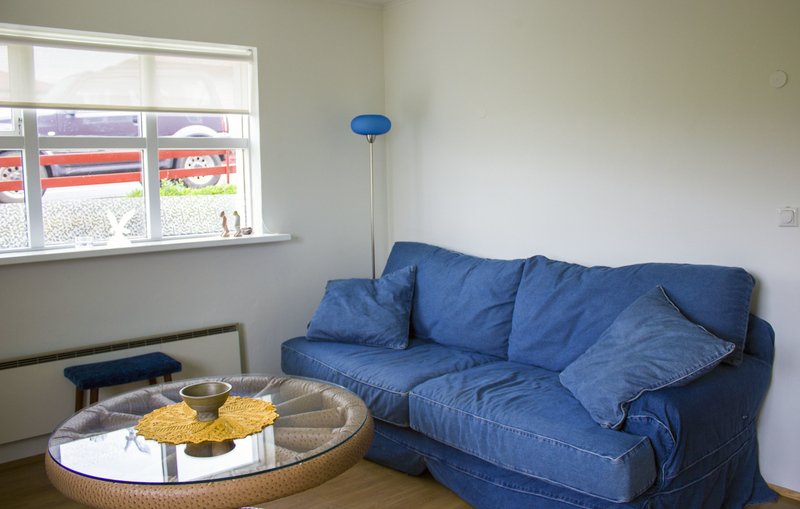 Although we only used one bedroom, G4 Apartment comfortably sleeps four in two different bedrooms. 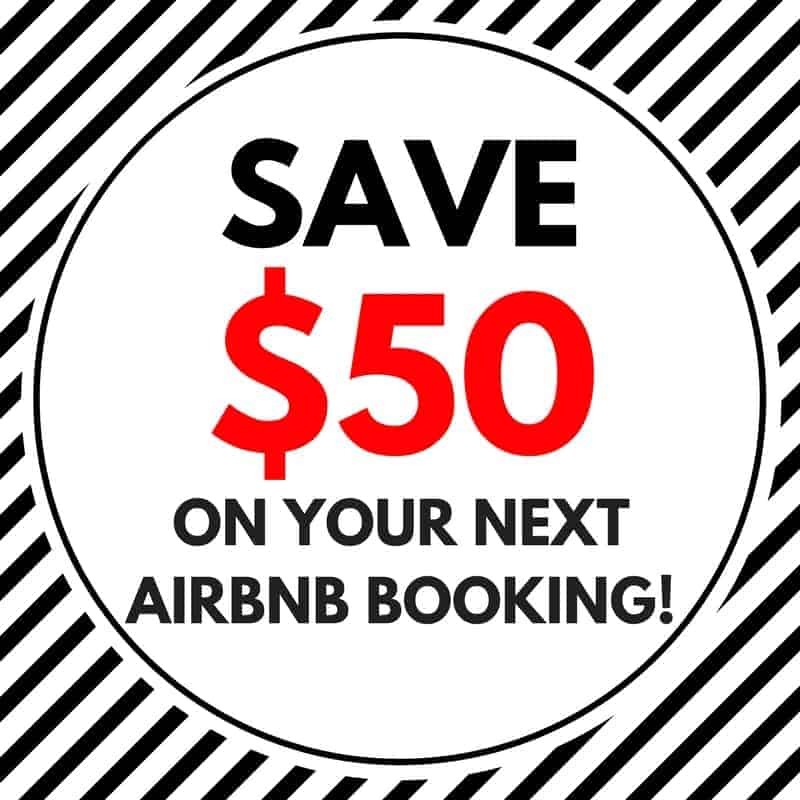 It’s the best place to stay for families or even two couples. The beds were so cozy and comfortable, and we truly had a great night’s sleep. 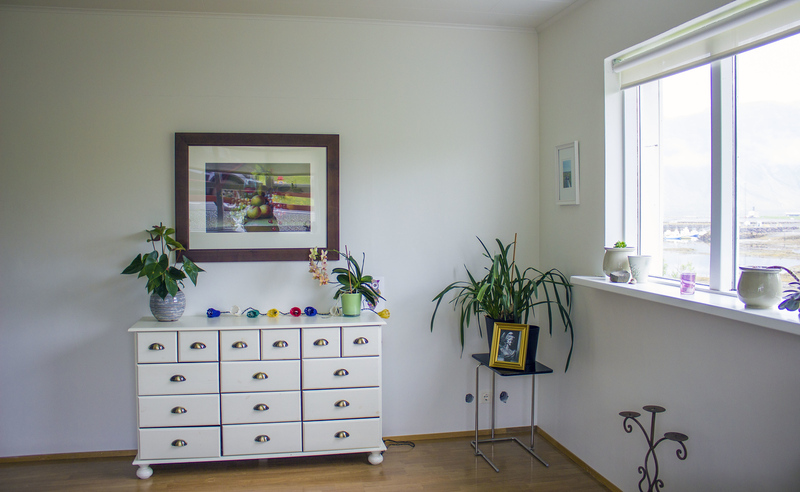 Large windows let in ample light during the day, but the blinds kept out the light at night (even during the summer, when Iceland receives almost 24 hours of daylight). 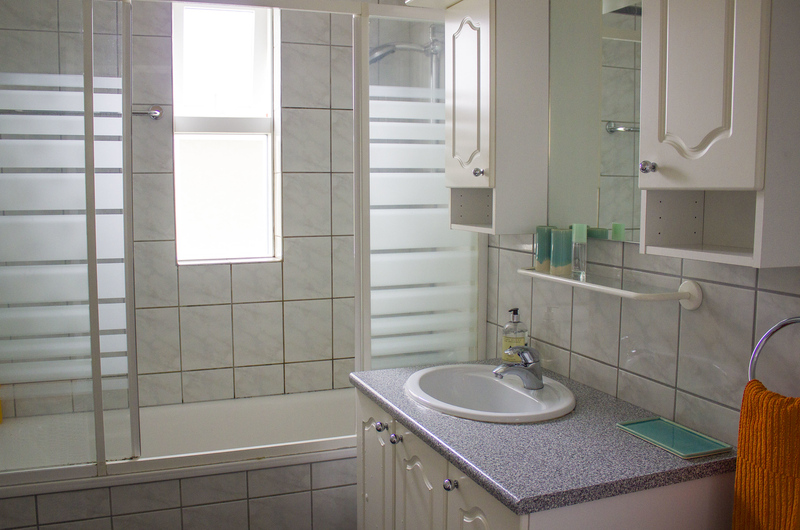 The bathroom was bright, clean, and modern. Feel free to choose between a shower or a bath. We also had access to a hair dryer, shampoo, and towels. 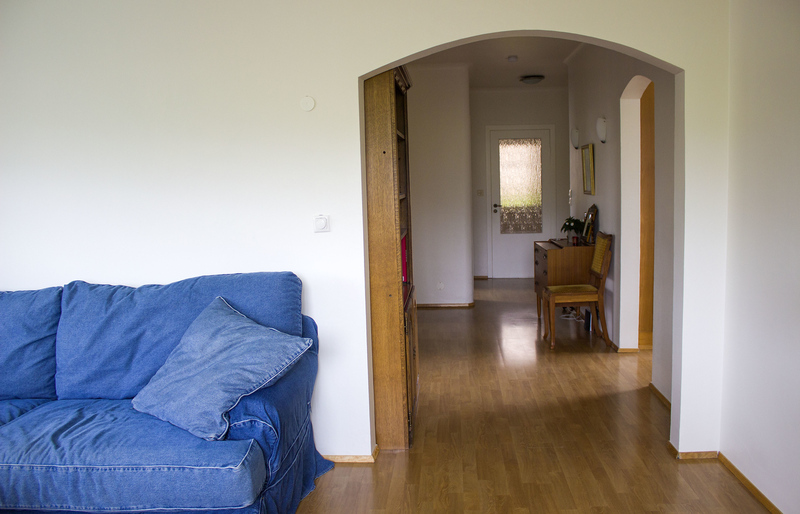 The apartment also comes with free Wi-Fi, making it easy to stay connected. If you traveled by car, there was plenty of room to park right outside the front of the apartment. Loading our suitcases into the accommodation was a breeze as there weren’t any staircases to navigate. G4 Apartment was close to everything we needed. Grundarfjordur isn’t a very big town. We could drive to the local grocery store, cafes, and restaurants within moments. 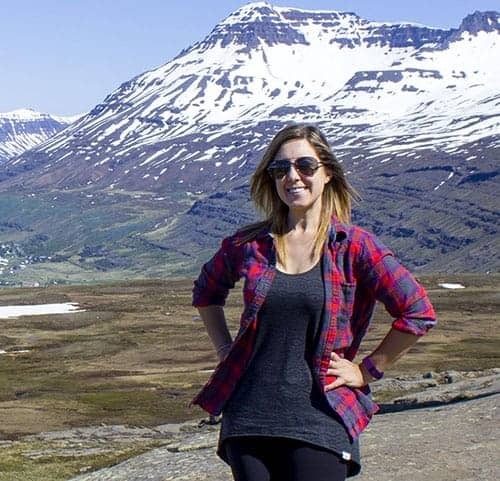 The mountain, Kirkjufell, was just down the road. After marveling at the cascading waterfall and impressive mountainous landscape, we spent most of our day at G4 Apartment. 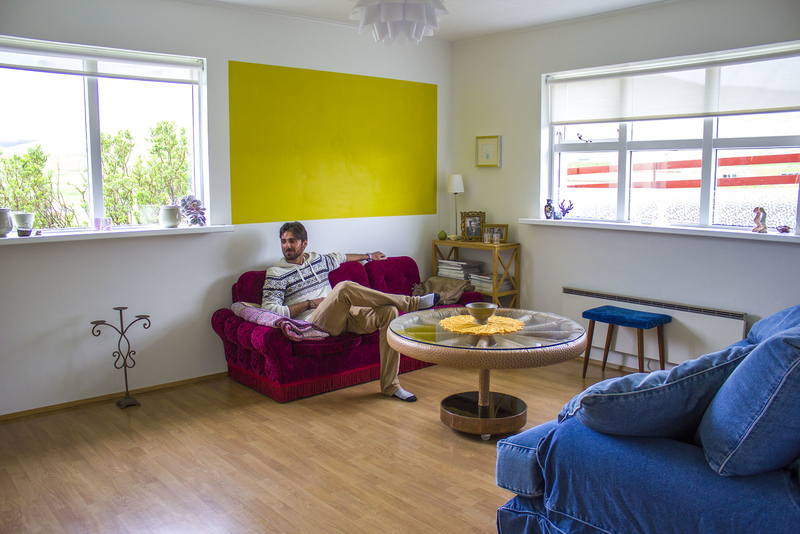 We stayed at the end of our two week journey around Iceland, and we were happy to have a little down time. 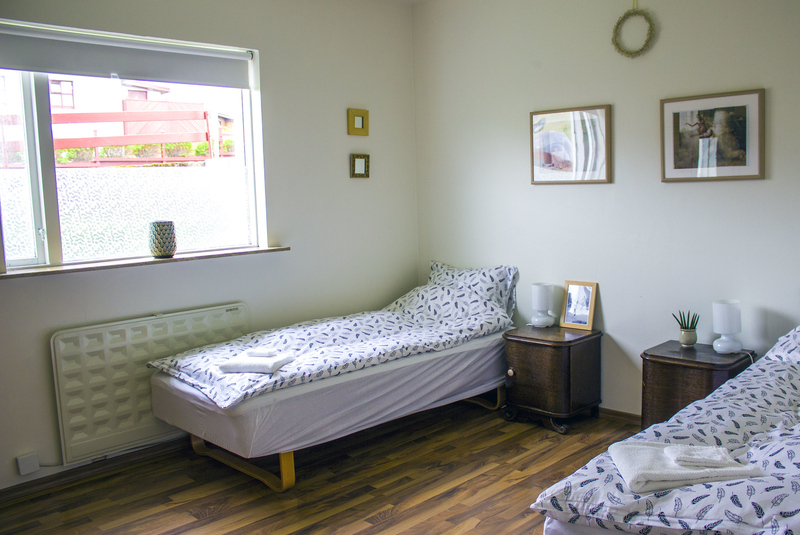 This apartment was the perfect place to relax and unwind. 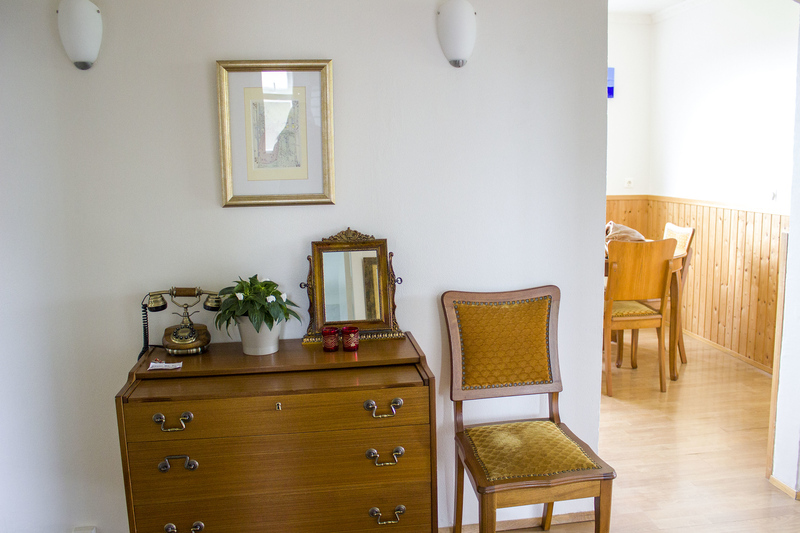 Signy made everything so easy, and we could quickly get in touch with her if we needed anything at all. Throughout the booking process, she was fast to answer emails and had great communication skills. We checked in and out of the apartment without any issues at all. She took care of every small detail, and we had a very enjoyable stay. 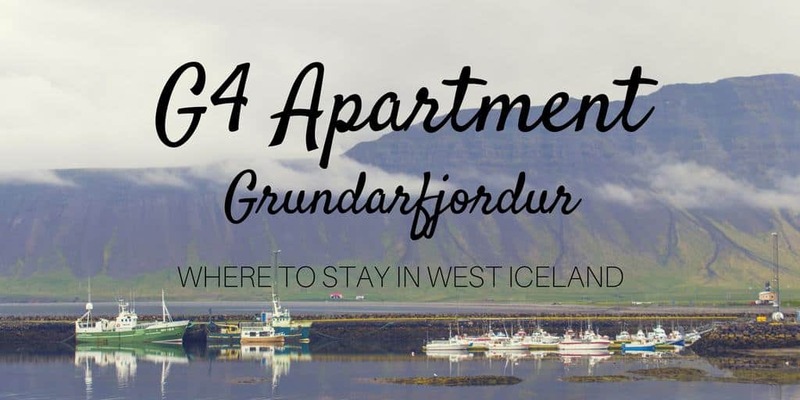 We absolutely recommend G4 Apartment in Grundarfjordur. And we wouldn’t hesitate to stay here again. 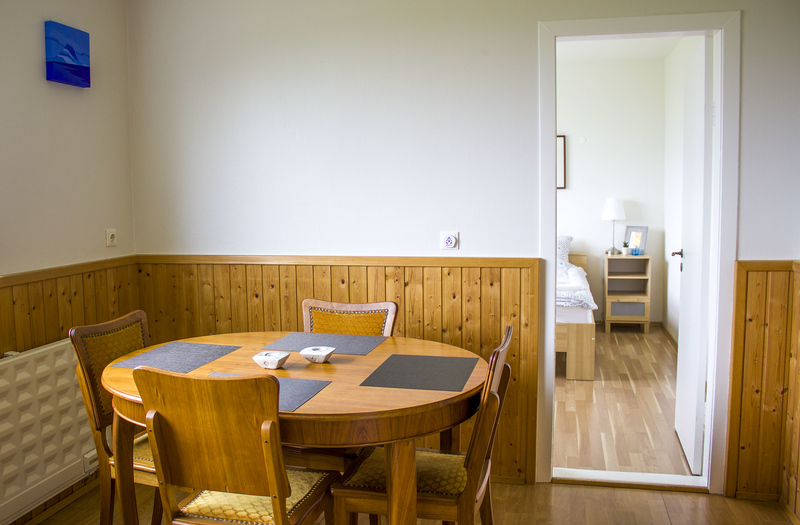 I wouldn’t think of staying anywhere else in town as we had such an excellent experience. From the sensational mountain views to the ideal location, G4 Apartment really had it all. This house truly felt like a home, even though we only stayed for the night. Disclaimer: Thank you so much to G4 Apartment for hosting our stay. Our opinions, as always, are entirely our own.